A deeper look by Cisco Systems into the cyberattack that infected Yahoo users with malware appears to show a link between the attack and a suspicious affiliate traffic-pushing scheme with roots in Ukraine. Yahoo said on Sunday that European users were served malicious advertisements, or “malvertisements,” between Dec. 31 and last Saturday. If clicked, the advertisements directed users to websites that tried to install malicious software. Cisco discovered that the malicious websites victims landed on are linked to hundreds of others that have been used in ongoing cyberattacks, said Jaeson Schultz, a threat research engineer. Schultz looked at domains hosted within a large IP block that researchers observed Yahoo victims were redirected to, finding 393 others that matched a pattern. The malicious domains all start with a series of numbers, contain between two and six cryptic subdomain labels and end with two random words in the second-level domain, according to Schultz’s writeup on Cisco’s blog. Some of the domains were still active as of Thursday. It wasn’t clear whether that program is directly linked to the Yahoo attack, but Paid-To-Promote.net’s site gives the impression that “anything goes,” Schultz said. Further research into the affiliate program’s traffic traced it back to other domains used for suspicious purposes, going back to Nov. 28. Some domains are hosted in Ukraine and others in Canada. Someone involved in the scheme struck gold by somehow inserting malvertisements into Yahoo’s advertising network. ”If you can get into the ad networks, especially, that’s very lucrative,” Schultz said in a phone interview Friday. 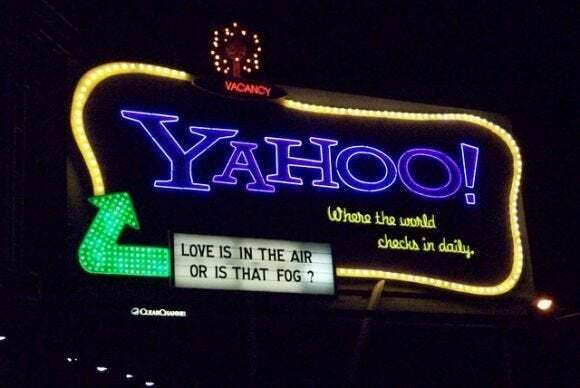 The high traffic to Yahoo’s site means more people saw the malicious advertisements, which meant a higher rate of infection. Online advertising networks screen advertisements to ensure they’re not malicious, but occasionally bad ones sneak in. The malicious advertisements redirected people to domains hosting the “Magnitude” exploit kit, which tests to see if a computer has software vulnerabilities in the Java application framework. If Magnitude found a vulnerability, it installed malware such as ZeuS, Andromeda, Dorkbot and ad-clicking malware, according to the Dutch IT firm Fox-IT, which first wrote about Yahoo’s problems.